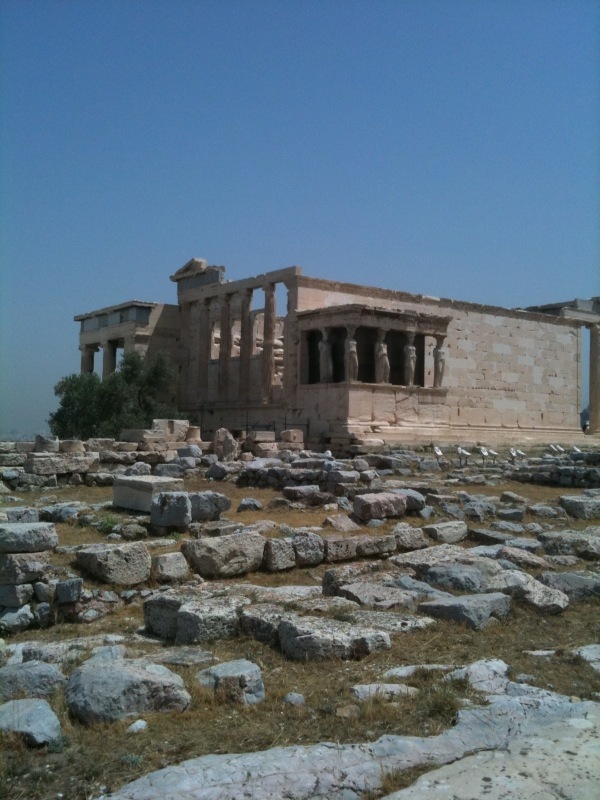 Here are some pictures of the Acropolis from my recent Athens trip. I was a little bit disappointed at how broken it is. The Greek ruins in Paestum near Naples, Italy are much more preserved. 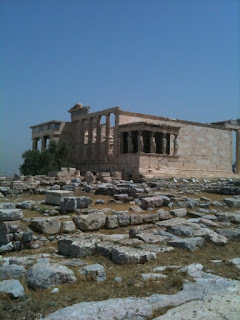 Embarrassingly, I was so unprepared for my trip to Greece that I even forgot to take a good camera! 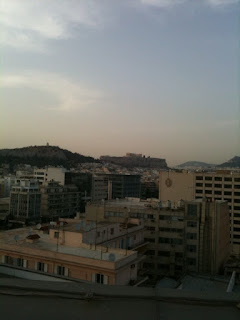 I did not see much of Athens because I was busy working. Well, I was there for work and not tourism. All these pictures are taken using my iphone. 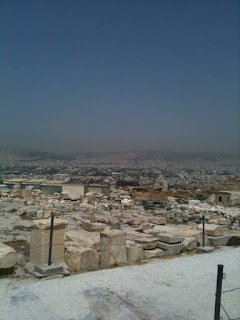 The picture below is the view of Athens from the Acropolis. I was quite surprised how big it is. 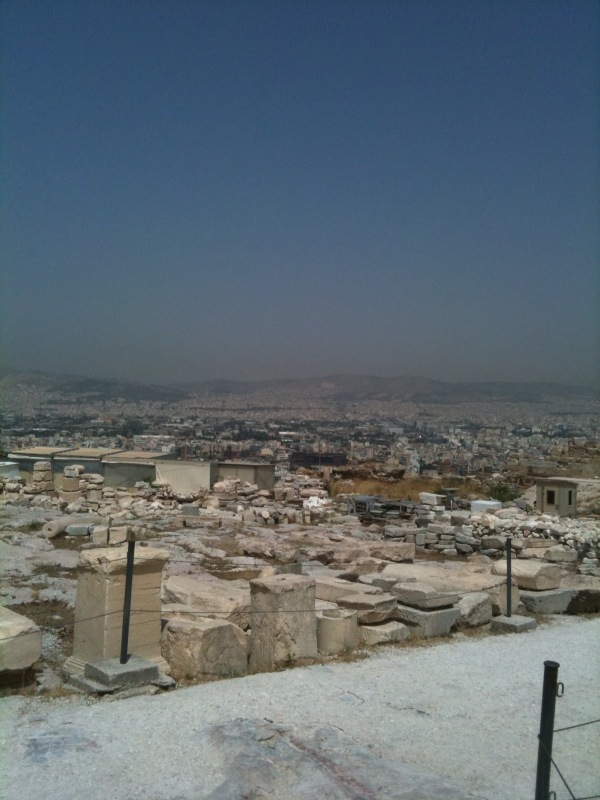 This one is a view of the Acropolis from Athens. Unfortunately, I think what they say is true, Athens is not a very charming city. I liked it personally because it felt real and not like "Disneyland". 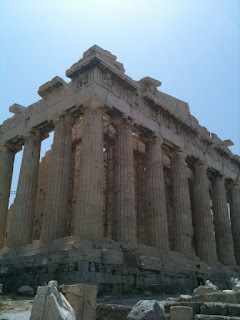 I liked very very much your pictures taken at time of visiting Athens. 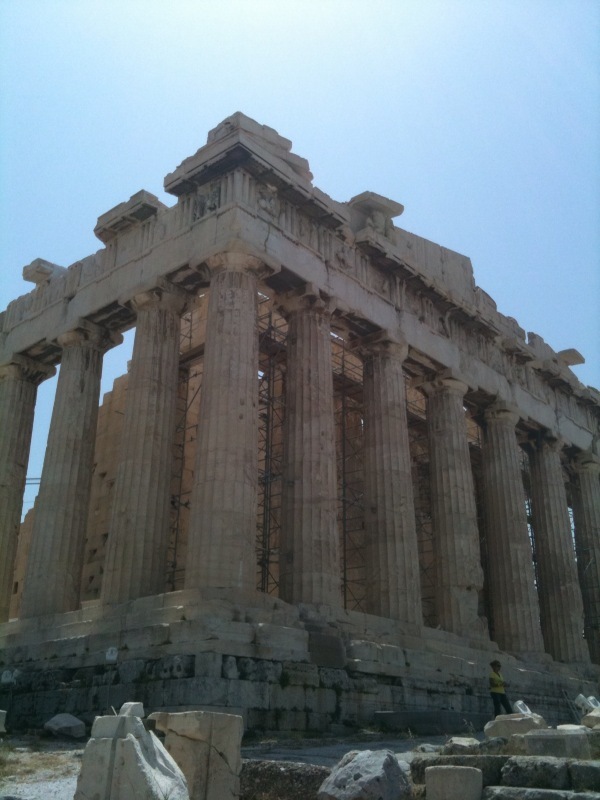 The Greece doesn't need any more word for itself explanation of the rise and fall of world the greatest second civilization. Its impact on the world is very very tremendous and in the world today everyone wants to visit here once in life.